Briefly: Stealth Mode got new useful options, userscripts work better now, ad blocking became more advanced and our network drivers - more stable. All the details are below. This is a very important addition in terms of future (and present) possibilities that it opens for ad blocking. Extended CSS is a module for applying CSS styles with extended selection properties. Basically, it means that we will be able to select and, therefore, block some elements that we would not be able to block otherwise. Currently we support following pseudo-classes: -ext-has (:has), -ext-contains (:contains), -ext-matches-css (:matches-css). Dozens of minor fixes and improvements. It is impossible to list them all without turning this article into a mess, so if you are interested, check our GitHub page. 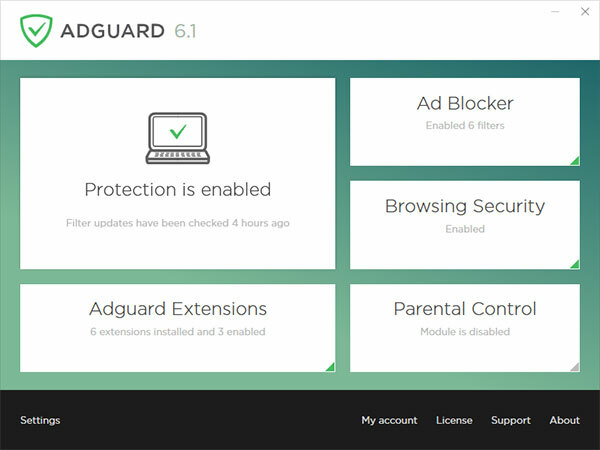 Hope you like the fresh Adguard for Windows version! This time it took us much more effort than we thought it would so, hopefully, it wasn't in vain. Share your impressions in the comment section!